This sigil came as a Samhaim-specific request from the Sigil Daily Tumblr group. It’s wonderfully evocative, isn’t it? Given the context, it seemed fitting to go with a script design choice that echoed the tastes of many modern pagans, Wiccan, Druids and generally witchy types. 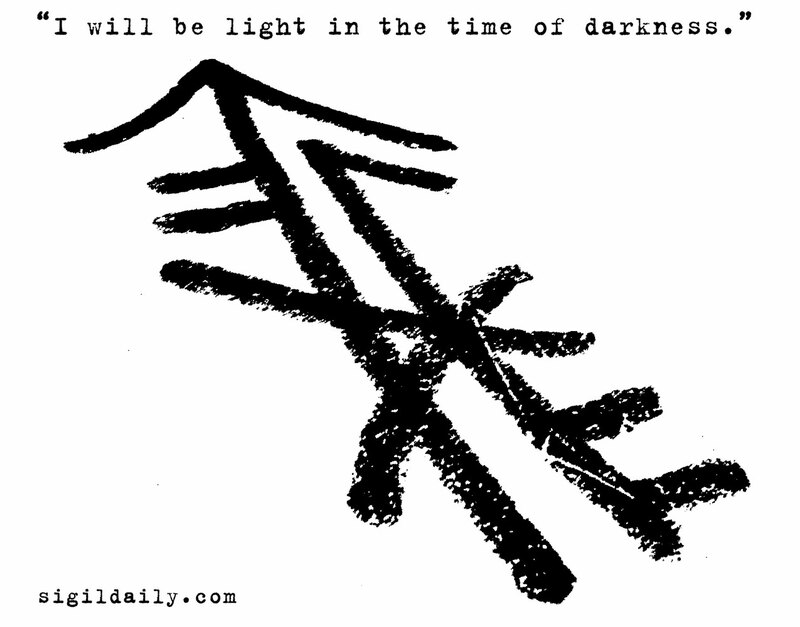 As a result, this sigil has elements of both Norse runes and Druidic Ogham writing. Why the mix? Aren’t those two completely unrelated cultures? Sure, except in Britain, where the mixture of Norse and Celtic cultures created the hybrid culture that, in turn, created things like Halloween. Plus, Ogham’s extremely minimalist structure means it isn’t exactly the most friendly script for sigilcraft.